A warm welcome to Siam Singapore International School (SSIS) situated in the heart of Bangkok City. Our school is Thailand’s premier “International Demonstration School” under the Royal Patronage of the Valaya Alongkorn Rajabhat University. The management of our school is in partnership with RVi Academy whose primary purpose is to educate the global leaders of tomorrow through a comprehensive education from Nursery to completing their IGCSE. Our programme nurtures young minds to become professionals, critical thinkers, problem solvers, collaborative workers, effective trilingual communicators and independent lifelong learners. We are a caring community where Thai values and culture coexist synergistically with modern Singapore-UK based curriculum. Our students’ needs are our priority. Hand in hand, dedicated teachers, both from the international arena as well as Thailand, groom our students to have self-confidence in their decision making and problem solving skills along with soft skills needed to engage the real world. Our holistic curriculum emphasises the acquisition of knowledge, critical thinking, and problem-solving skills for all students attending our school. Our administration and staff believe that every student is unique and special and that they all have the ability to learn. We believe it is our responsibility as educators to nurture and develop every student to their maximum potential. Students are continually encouraged to appreciate our diverse community and to care for others by becoming global citizens and to develop a concern and active respect for the environment. 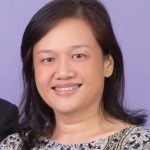 At Siam Singapore International School, we strongly believe in the importance of our teachers, parents, and administrators collaborating and communicating openly and frequently. We constantly work on ways to improve communication with our parents and the community including having “Coffee Mornings”, Parents-Teacher-Meeting, seminars, as well as talks conducted for our parents and their friends to attend. If you would like to hear more about our school or arrange a visit, please feel free to call us or drop by for a visit.